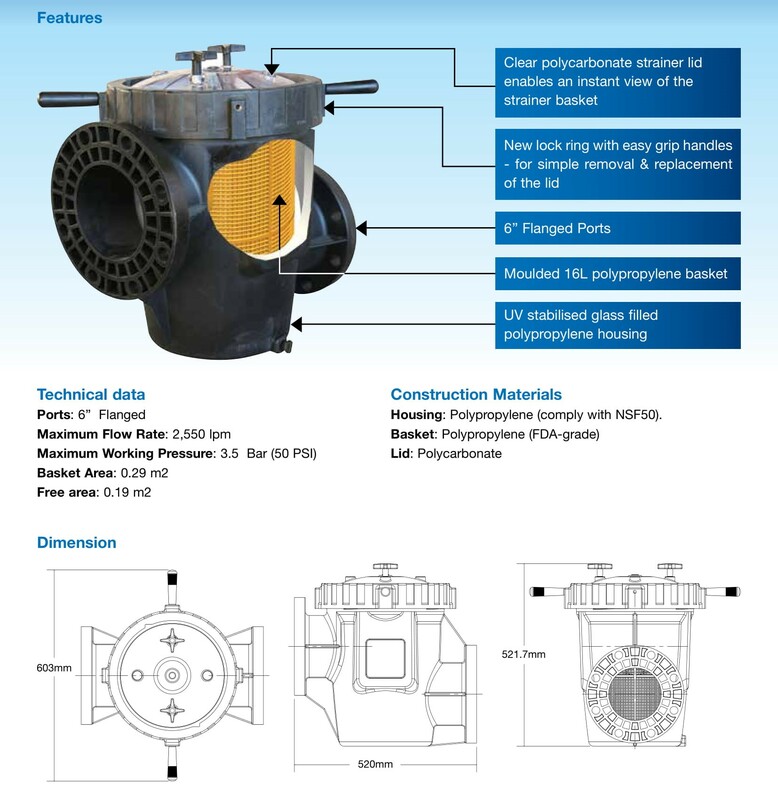 Hydro5000 commercial strainer's main body is constructed from an injection moulded glass reforced thermoplastic. It's seamless one piece consists of no welds or seams or special tank linings which can corrode or electrolyse. Hydro5000 strainers weigh less than a 1/3 the weight of its steel counterparts without any compromise in strength and durability.